Teddy20 Virgin Money Giving Page is now live! 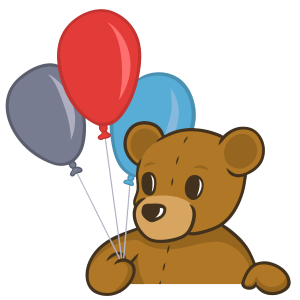 Our Teddy20 Virgin Money Giving Page is now live! 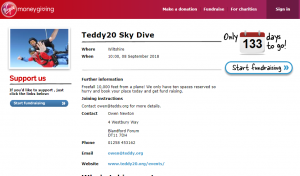 You can create fundraising events in aid of Teddy20 and donate without any fuss! Check out our new page here. You can also join our fundraising events like Le Teddy Tour 2018 and the Teddy20 Sky Dive 2018! Click on the pictures below!